A &apos;clay pad&apos; polisponge for decontaminating paint. Fine grade. A new concept in paint prep, these decon polisponges &apos;grab&apos; embedded contaminants in a similar way to clay, but they can be cleaned during and after the detail (instead of being &apos;used up&apos;). Effectively, it&apos;s reusable clay. No need to fold or throw away... they&apos;ll last dozens of cars before losing their effectiveness (making them potentially much more cost-effective than standard clay). To use, simply wet and lube a panel in the usual way, then glide the easily-held sponge over the panel, occasionally rinsing the clay pad in the rinse bucket. 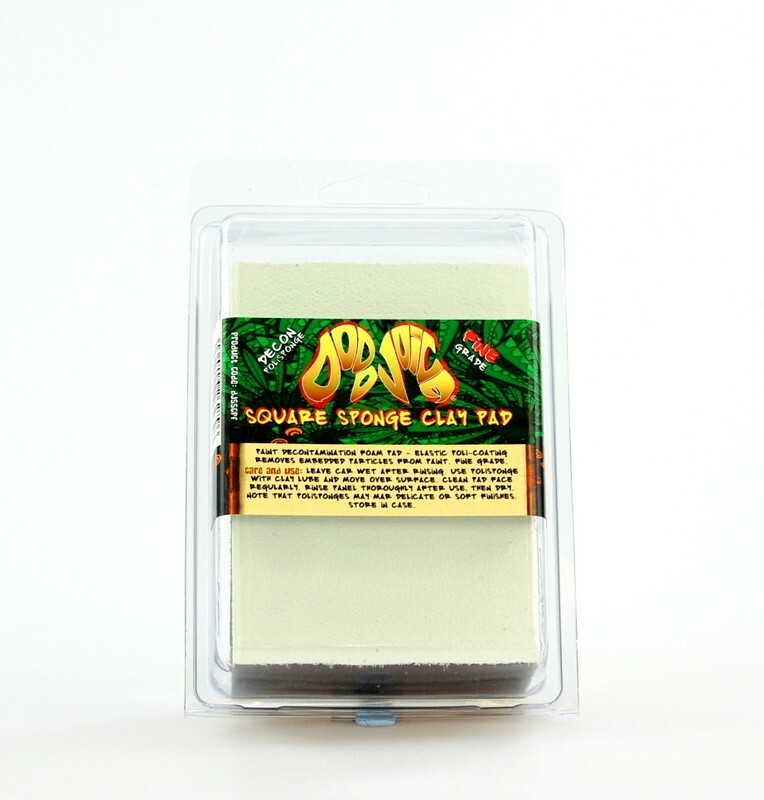 This fine grade clay pad is perfect for softer finishes but note that there is still a small marring risk (like with clay).